Soaring over local lakes, rivers and mountains, this experience offers a stunning introduction to the joy of flying gliders. Take the controls and have a go! Soar higher and further, or spend more time on the controls! 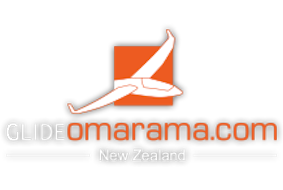 You will experience the challenge of soaring the mountains and alpine environments that surround the Omarama Basin and discover their beauty from a unique perspective. Spectacular scenery, optimum soaring conditions, hands-on instruction and the possibility to fly over Mount Cook. The Alpine Adventure has it all! You will discover why so many become addicted to the sport of soaring! Be our guest for the ultimate gliding experience from the world’s greatest mountain soaring site. Spend the day with us and enjoy 3-5 hours in the air, or even longer if you wish! Soar through the Southern Alps to Mt Cook and the Glaciers, or to Mt Aspiring and even Milford Sound. Learn how it’s done! Whether you have flown gliders before or not, this is truly the experience of a lifetime.